We’ve talked about some of the best foods for your teeth in the past. However, it is important to be conscious of your consumption of these particular foods and beverages, as they can be potentially harmful to your teeth. The more you know, the better equipped you are to make the right decisions for your oral health. Find out which nine foods and drinks are the worst for your teeth and why. 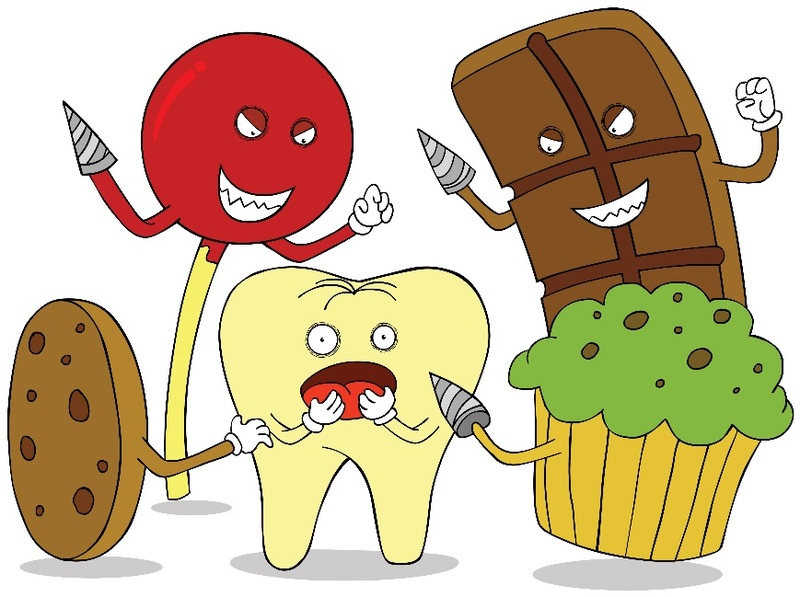 Whether it’s hard, sticky, chewy, or sour, candy is one of the worst foods for your teeth. Most candy is bursting with refined sugar and artificial coloring. Candy also has no nutritional value. Regularly eating candy can contribute to cavities, enamel erosion, and dental emergencies. If you are going to indulge in a sweet treat, make sure you brush your teeth afterward. Out of all the types of candies, chocolate, especially dark chocolate is the least damaging. Chocolate washes off of teeth easier than sticky candies. Dark chocolate has some nutritional value as well; it is high in antioxidants. You might think dried fruit is healthy because it is fruit, but it can pose a threat to your teeth. Dried fruit is high in sugar, and due to its stickiness, it can be hard to get off of your teeth. Be extra careful if you have any fillings, crowns, or wires in your mouth. Chewing gum or sucking on a mint is like chewing or sucking sugar. Opt for sugar-free gum or mints to avoid putting your teeth in harm’s way. Carbonated drinks contain phosphoric and citric acid, both of which erode the protective enamel on your teeth. When the enamel on your teeth is compromised, you become more prone to cavities, chips, and cracks in your teeth. Plus, carbonated sodas are very high in sugar. While sports drinks are great at quickly rehydrating your body after intense physical activity, they contain a lot of sugar. If you are going to drink or eat anything that has a high sugar content make sure that you brush your teeth afterward. Alcohol is high in sugar. Regular and excessive alcohol consumption can also reduce your saliva production, which can then increase your chances of tooth decay and other oral infections. Heavy alcohol consumption also increases your chances of developing oral cancer. If you are going to drink alcohol, make sure you also drink plenty of water and always brush your teeth before bedtime. While citrus such as oranges and grapefruit are high in vitamin C, the acidity of this type of fruit can also erode enamel, making teeth more susceptible to decay. As with many of these potentially harmful foods and beverages, as long as you consume them in moderation, drink plenty of water, and keep up with brushing and flossing your teeth, you can enjoy these treats without worrying about permanent damage to your teeth. Due to the high level of tannis, regularly drinking black tea can lead to tooth discoloration. If you are going to drink tea, lighter teas like green tea are a better option. Starchy foods like potato chips and bread can easily get stuck between your teeth. Make sure that you floss your teeth after eating starchy foods to avoid a plaque build-up and permanent damage to your teeth. While you don’t necessarily need to give up these foods and drinks entirely, if you are going to enjoy them, do so in moderation, brush your teeth afterward, floss twice a day, and drink at least two liters of water to help keep your teeth strong and healthy. At Parker Dentistry Facial Rejuvenation and Wellness, we are experts in helping you to put your best face forward. Our expertise extends beyond your teeth and gums though. We like to look at the big picture when it comes to the health of your mouth, especially since it is the gateway to your internal body. We know that nutrition plays a significant role in our comprehensive health and the same is true for the health of your teeth, gums, lips, and face. There are certain vitamins that greatly contribute to the health of your face (eyes, skin, lips, teeth, gums, and tongue). Did you know that 92% of Americans have a deficiency in one or more vitamins according to The BioStation. According to the Center for Disease Control and the U.S. Department of Agriculture, 7 out of 10 Americans are deficient in calcium; 8 out of 10 are deficient in vitamin E; 50 percent are deficient in vitamin A and vitamin C, and 50% are deficient in vitamin D.
Calcium, vitamin A, vitamin C, and vitamin D happen to be the four essential vitamins that your teeth, gums, lips, and skin crave the most. These particular vitamins are vital to maintaining the health, appearance, and resiliency of your smile maker. Between the ultraviolet rays from the sun and other free radicals that are constantly bombarding our body, it is crucial that we supply our body with the right nutrients to protect itself. These vitamins are also amazing anti-aging advocates! Maintaining a diet that is rich in these essential nutrients and incorporating Juice Plus+ into your daily routine is a surefire way to support your teeth, gums, lips, and face. As you can see, many of these nutrient-dense foods are fruits, vegetables, and nuts. Maintaining a predominantly plant-based diet is not only an easy way to get your vitamins, but it’s also an earth-friendly way to eat. Our diet is one of the most important components that contributes to our overall health and wellness. It is also a component that we have complete control over. We eat certain foods to maintain our weight, to protect our heart, to strengthen our immune system, and even improve the quality of our skin, but it is above all most important that we eat for our brain. What is good for our brain is good for the rest of our body. Brain-boosting nutrition will definitely be a focal trend of this upcoming year. We seem to be busier than ever between our careers, our families, our social lives, and our individual interests. We are asking our brains to juggle a lot of different things on top of all of the involuntary actions that it is constantly performing. Not to mention Alzheimer’s dementia is on the rise! Today, 5.7 million Americans of all different ages are living with Alzheimer’s disease. Every 65 seconds someone develops it, and by the middle of this century is it estimated that those seconds will decrease to every 33. There is no definitive preventative practice to avoid the development of Alzheimer’s and memory and brain function deterioration as we age. However, your diet plans a significant role in the health of your brain. 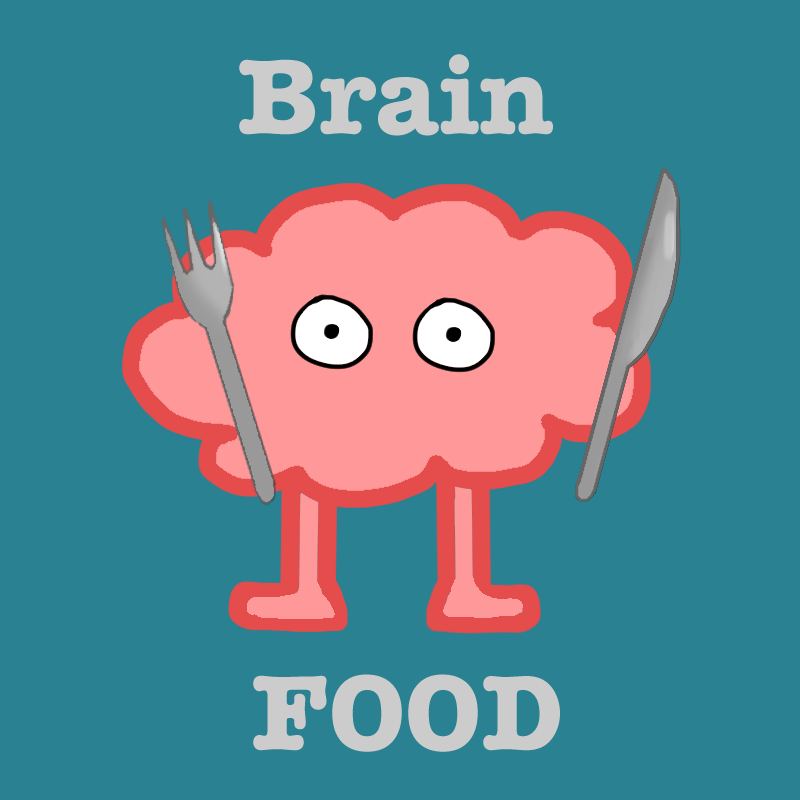 Our brains need brain food! The good news is brain food is not only tasty but very accessible. Our brains want food that is rich in vitamin K, omega-3, lutein, folate, beta carotene, flavonoids, theobromine, B vitamins, magnesium, iron, selenium, manganese, and potassium. The top brain foods include kale, spinach, collard greens, broccoli, walnuts, avocado, flaxseed, wild and sustainably-caught salmon, blueberries, blackberries, strawberries, raspberries, and raw cacao. Coconut oil and olive oil are also beneficial for the integrity and function of your brain. Aside from eating foods that support your brain, it is also of the utmost importance that you drink enough water throughout the day. According to Medical Daily, nearly 75% of Americans don’t drink enough water. Your brain’s content is 80% water and proper hydration is essential for nearly all functions in the body. The average person should be drinking at least two liters of water a day. That breaks down to around eight cups of water, which is a very manageable amount if you are conscious of it. When our brains start to go, everything starts to go with it. Your present and future life depends on this powerhouse organ, and it is your responsibility to keep it properly fueled. Eating the right foods is one of the easiest and best things that you can do for your brain and the rest of your body. The term antioxidant is thrown around a lot when you hear or read about anything that relates to diet, nutrition, health, and wellness. While it is relatively common knowledge that antioxidants are important for your immune system, do you know what antioxidants really are and why are they good for your immune system and overall wellness? And where can you find antioxidants and how can you make sure that you are getting enough of them every day? 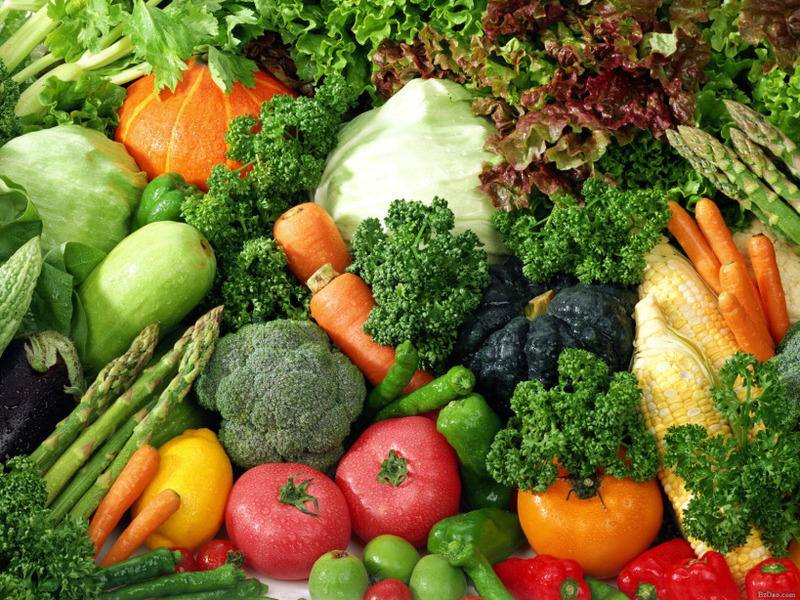 Antioxidants are molecules that stop the oxidation of other molecules. Antioxidants fight the damage that free radicals cause to our cells. Free radicals come from air pollution, rays from the sun, bacteria, cigarette smoke, alcohol intake, and other toxins that we are exposed to on a daily basis or choose to expose our bodies to. When your body doesn’t have enough antioxidant-support, excessive oxidative stress can take place, which can damage your internal and external body. Free radicals are also responsible for signs of aging, cancer, inflammatory aliments, asthma, diabetes, and even dementia. Beta-Carotene-rich foods include asparagus, beets, broccoli, kale, mangoes, spinach, tomatoes, watermelon, carrots, and sweet potatoes. Vitamin C-rich foods include berries, kiwi, oranges, papaya, bell peppers, grapefruit, and snow peas. Vitamin E-rich foods include avocado, mustard greens, pumpkin, nuts, sunflower seeds, and chard. Are you worried that you might not be getting enough antioxidants in your daily diet or do you want to ensure that your body is always ready to fight back against the constant flood of free radicals? Juice Plus+ Vineyard blend is packed full of the real powerhouse antioxidants. Each capsule contains concord grapes, blueberries, cranberries, blackberries, black currants, bilberries, raspberries, pomegranates, and elderberries. Are you eating bilberries and elderberries every day? Antioxidants are key players in the fight against heart disease, neurological and mood disorders, the flu and common cold, outward signs of aging, vision degeneration, periodontal disease, infections, and inflammation. Adding Juice Plus+ Vineyard Blend to your daily routine can have significant benefits to your present and future health. As we’ve talked about in the past, preventative healthcare is the best approach to healthcare and your diet is a major part of your preventative healthcare plan. Talk to Dr. Blake or Honi, if you like to learn more about easy antioxidant support. While our intentions might be good, sometimes life gets in the way of us eating enough fruits and vegetables every single day. Our diet might not always be exactly what our bodies need and that’s okay, no one is perfect. Some days we might eat enough fruit, but not enough vegetables, or vice versa. But what if there was a way to get eleven essential vegetables (including two grains and one fruit) in your body in a matter of seconds and with next to no effort other than putting two capsules in your hand, moving your hand to your mouth, and swallowing? Juice Plus’s Garden Blend is just that. The Garden Blend contains broccoli, parsley, tomato, carrot, garlic, beet, spinach, cabbage, oat bran, rice bran, and kale. Are you eating all of that daily? These powerhouse vegetables, fruits, and grains have extraordinary benefits to your body. While taking Juice Plus+ doesn’t mean that you can skip eating fruits and vegetables all together, it does help supplement your diet and help make sure that your body is getting all of the vitamins and nutrients that it needs. Your diet is one of the most important factors that plays into your overall health and wellness. It is something that we have complete control over yet many of us have a diet that is lacking in some of the essentials. What you put into your body affects every part of your body, and same goes for what you don’t put into your body. In combination with the Orchid Blend, you can add the vitamins and nutrients from 30 fruits, vegetables, and grains to your daily diet with no more thought than just remembering to take it. Here are some of the health benefits a few of the key vegetables in the Garden Blend reward your body when ingested. Broccoli: (A Parker family favorite) is an excellent source of vitamin C and K, folic acid, and potassium. The nutrients in broccoli are key for supporting collagen production, bone health, and your immune system. Vitamin C is a powerful antioxidant that helps to fight free radicals, which damage the body and contribute to early signs of aging. Spinach: (A true superfood) is loaded with zinc, protein, fiber, vitamins A, C, E, K, thiamin, vitamin B6, folate, calcium, iron, magnesium, phosphorous, potassium, copper, and manganese. Spinach is especially good for your skin and teeth! Kale: (A hearty dark green) is high in iron, vitamins A, C, K, antioxidants, and calcium. Kale also promotes cardiovascular health and has amazing anti-inflammatory properties. Remember, inflammation is the root of most chronic diseases. Garlic: (Safe guards you from vampires) has been linked to reducing blood pressure, risk of cardiovascular disease, high cholesterol, certain cancers, and even the common cold. Beets: (You definitely want this in your daily diet) are full of essential minerals that are important for healthy nerve and muscle function, as well as promoting healthy bones, liver, kidneys, and pancreas. Beets are also very high in antioxidants and beneficial to your immune system. If you’d like to learn more about Juice Plus’s Garden Blend, talk to Dr. Blake or Honi. Remember, you are what you eat!